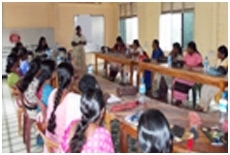 This project is funded by United Nations Entity for Gender Equality and the Empowerment of Women (UN WOMEN), and is simultaneously implemented in India, Nepal and Sri Lanka. 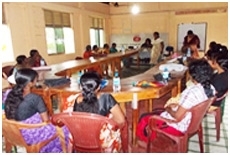 The goal of the programme is to enable widows to become agents of change and access their entitlements with dignity. 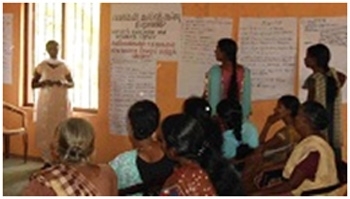 The project envisions to reduce the social ostracism of widows and create community level, rights-based mechanisms that challenge the social norms that they are forced to abide by in South Asia. 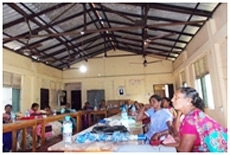 It also seeks to facilitate mainstream inclusion of widows issues in the national discourse and data collection systems in India, Nepal and Sri Lanka through the active leadership of empowered widows and their coalitions. The programme engaged with Civil Society Organizations (CSOs) and research and government agencies for integration and convergence. 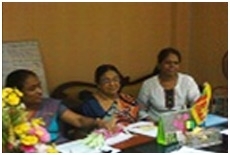 Moreover, the project promotes rights-based approaches that challenge welfare-oriented public entitlements.